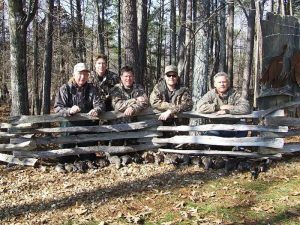 I want to thank-you once again for your hospitality, for the privilege of our stay at Chattokee Lodge, for the wonderful waterfowl demonstration/hunt, for the opportunity to harvest whitetail deer, and for the very special friendship we have with you. Steve and I talked about you and the way that you conduct your business and treat people. You are a very special person Harlan and I am very proud to know and associate with you. You certainly have the recipe for success, don’t change a thing! I’ll see you next year. I have to say, I can’t thank you enough for the trip this year. I had the great experience of so many “firsts” this year including Kristina’s first deer and a beautiful buck at that. I hope my memory never leaves me because I would not want to ever forget the beautiful reaction that she had when she shot him and realized that she had made a perfect shot. It was just pure emotion that I can’t even describe and make someone understand how she was feeling. Even more amazing is that I saw a transformation after she got the buck while hunting with her again later. She is very happy to observe and evaluate nature and the deer and is not in it to just shoot the deer. She is respectful of the animals and is developing a great hunting ethic I think. As I am so busy with my jobs, I don’t have as much time to get her out in the woods locally in New England like I would like to, so this focused time with her has been awesome. As you know, I love her lots. Other “firsts” for me were watching the bucks including the youngest bucks chasing does, bucks grunting, bucks sparring with each other, having a deer walk right beside my stand and to have it be such a great buck was an unbelievable experience. The whole time in the woods was exactly what I needed and was one of the most relaxing trips I have had. I think that having a best friend and his son there with us this year only enhanced the entire experience. Although Conner was not able to connect with the big buck that he wanted to, it only strengthened his resolve to come back and complete the mission. He had a great time and I respect his great will for hunting and his ability to hold off for the right deer. 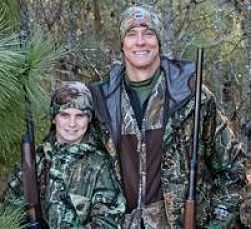 It is awesome to see and is a testament to his father for raising him with respect for the “hunt”. I have attempted to describe how great your property and lodge are to people and it cannot be done with words. It is an “experience” that can only be fully described by being there and seeing the entire place building and grounds. It was also great to meet your family this year. So, I look forward to keeping in touch and I can’t wait to return. They say don’t wish your life away, but the time to the next trip never comes fast enough!!! I can’t say enough good things about our trip this weekend! Sam is already talking about next year so that tells you how much he enjoyed the experience. Thank you for all you do to make it such a memorable time. Once again, an outstanding trip! 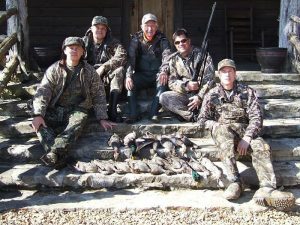 The duck hunting was top notch, Rox did a great job, The food was fantastic, and the hospitality was as good as it gets. I appreciate you taking such good care of me, my guests, and my brother and Dad. We are already looking forward to the next trip and to see the continued improvements to your beautiful property. 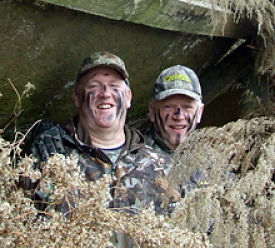 This deer hunt was far more than I expected and you could not want to stay with nicer people. This should not be thought of a a hunting lodge, but as a resort where you can hunt. We lacked for nothing. As a Georgia boy I have discovered there is no need to make my annual pilgrimage to Louisiana and Mississippi for duck hunting. 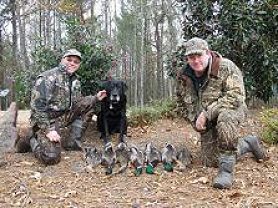 World class waterfowl hunting and lodging are only an hour and a half away from my metro-Atlanta home and I can tell you Chattokee Lodge is as good as it gets. Multiple species decoying right in like you read about and a fantastic lodge, complete with great food served by a terrific staff. Could not have been happier. 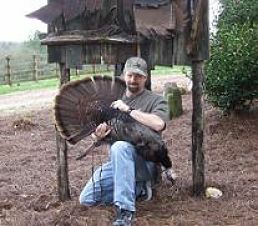 I hope to come back to Chattokee Lodge again, between the great folks, great food, five star accommodations and various hunting opportunities, why not?